Posted byjeffersonwebb	 June 14, 2015 June 14, 2015 Leave a comment on FIGHT FEST! 2015 SUCCESS! FIGHT FEST! 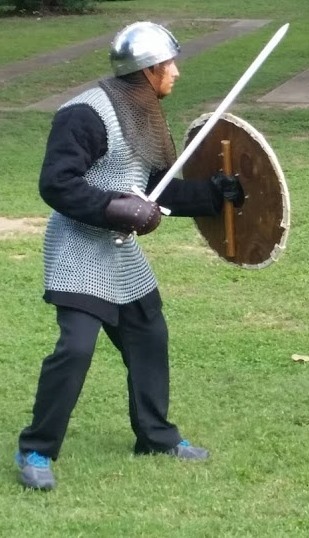 2015 was a great success in which we saw attendance from the Texas fighters from the Army of Jomsborg, and fighters from New Ulster Steel Fighting. All of the fighters, support personnel from both sides, and spectators had a great time, in spite of the heat (92 Fahrenheit with a heat index of 102 at one point). 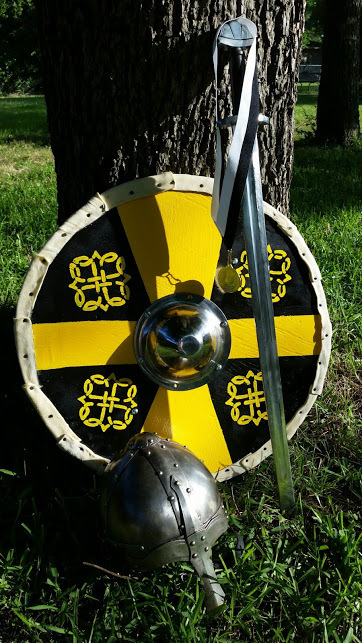 The awards were great and all involved would like to give a huge thanks to Kult of Athena for the sponsorship and donation of a Wulflund Viking Sword and a Wulflund Antiqued Finished Norman Helmet. Their donation was very generous! 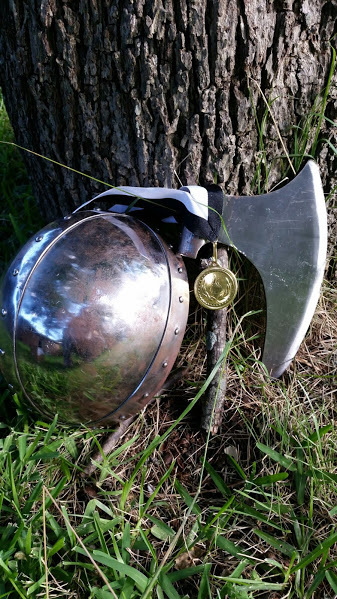 Also thanks goes out to New Ulster Steel Fighting for their organization of the tournament, and for sponsoring the award medals (41 awarded in all), an award shield, spangen helm and ax head. The sponsorship from Kult of Athena and New Ulster Steel Fighting made this a tournament in which the victors truly did walk away with some spoils for their hard fighting! 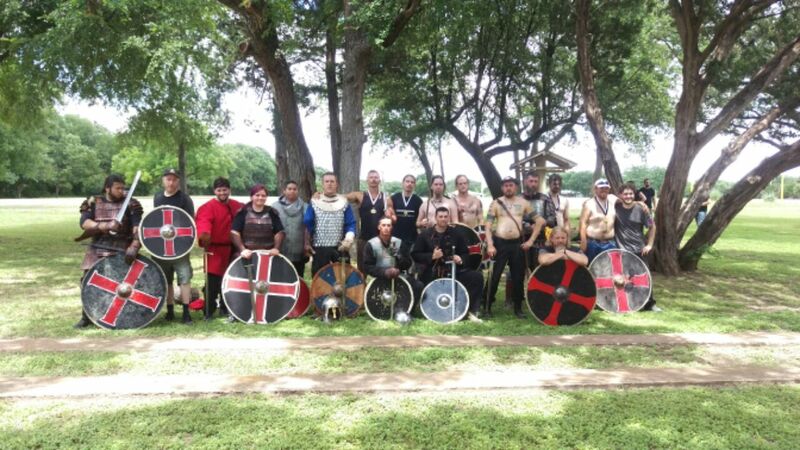 Finally, New Ulster Steel Fighting would like to give our thanks to the Texas members of the Army of Jomsborg for a great showing both in numbers, and in skill on the field of competition. We hope that a firm alliance and friendship has been formed and that it is long-lasting. 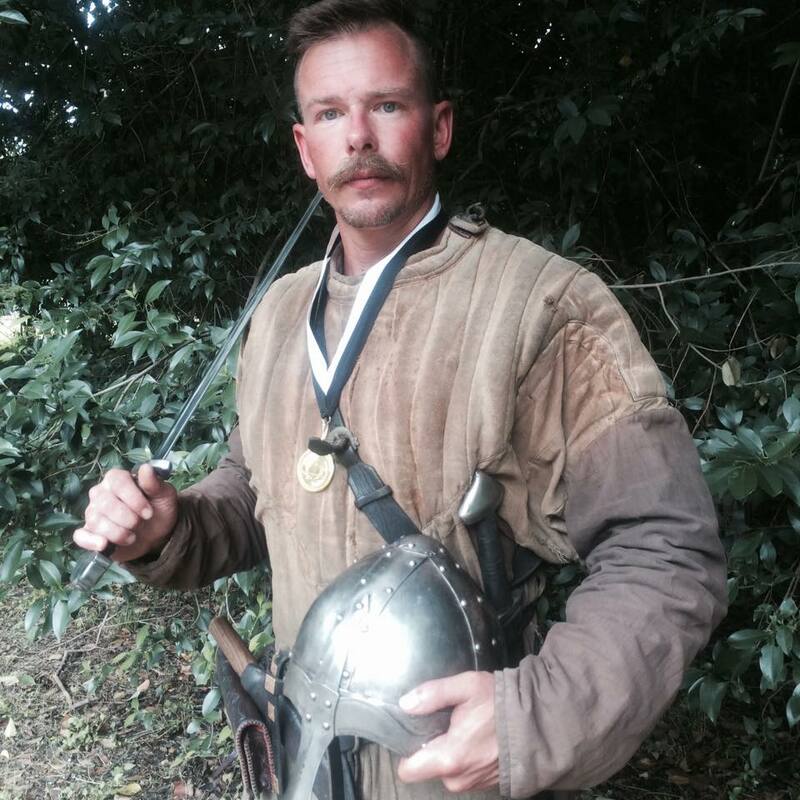 Pictures below shows the Champion of the One on One Combat Skills Event, Clinton Dale, Army of Jomsborg and his awards. The next pictures show the Champion of the Last Warrior Standing Event, Tyler Bryant, of New Ulster Steel Fighting. We hope to soon have a picture of the Gold Medal Jomsborg Team A who won 1st place in the team melee.